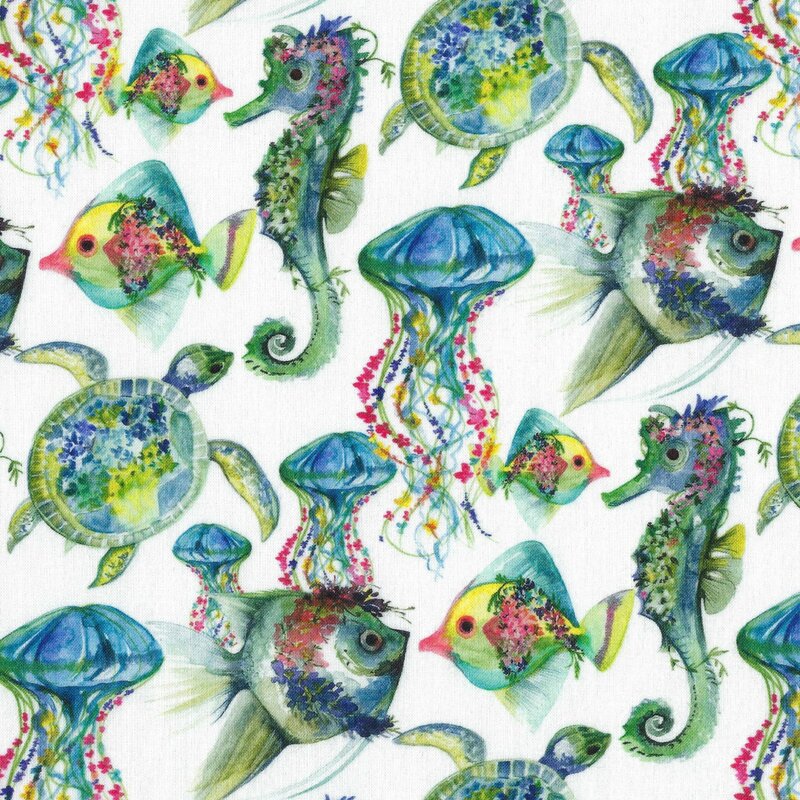 Digitally printed jellyfish fish sea horses and sea turtles in beautiful turquoise green and hot pink on a white background.100% cotton. 45 in. wide.